Your vehicle's suspension system protects your wheels and axles from becoming damaged while you are driving. When you need auto suspension repair in Rockville, MD, or the surrounding areas, you should immediately turn to Rockville Auto & Truck Service. 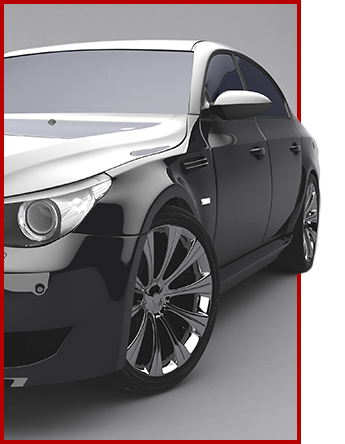 Our auto repair shop is the most trusted provider of comprehensive auto suspension repair and replacement work. We also provide power steering repair and fix other components connected to the suspension system. Enhance the handling and performance of your vehicle with our auto suspension repair services. Shock and strut replacement work is the most common solution for problems with a vehicle's suspension system. Our mechanics can quickly determine what parts of your suspension system need to be repaired or replaced. Since replacing the steering and suspension parts can change your vehicle's wheel angles, we recommend our alignment service if you need any suspension work. Enjoy better control over your vehicle by maintaining the functionality of the power steering. Power steering is an automotive feature that works in conjunction with your suspension system to make steering easier. It is important to replace the power steering fluid and check to see if there are any other issues affecting your vehicle's steering components. We provide full-service power steering repair, which includes replacing the fluid and any damaged parts that control the steering. Allow our certified technicians to inspect your vehicle and see if you need auto suspension work. They have the training and experience to perform auto suspension repairs on vehicles of every make and model, including BMW® and Mercedes® cars. We begin by inspecting the struts, springs, and shocks of your car or truck for signs of damage. We then replace all of the old or worn parts of your suspension system that are not performing as they should. Contact us for more information about receiving auto suspension repair work. We are conveniently located to serve customers in Rockville, Damascus, Gaithersburg, Germantown, and North Potomac, MD.